Weiland's suit was filed Friday in Los Angeles Superior Court, one week after his former collaborators sued to get him to stop using the band's music in solo performances. The singer's case says the three other members of Stone Temple Pilots had no right to oust him and are damaging his solo career. He is seeking more than 5 million US dollars (£3.2 million) in damages, although any award would have to be determined by a judge or jury. The lawsuits are the latest development in the band's public breakup. Weiland was ousted in February and said he learned of the decision when it was reported in the media. "How do you expel a man from a band that he started, named, sang lead on every song, wrote the lyrics, and was the face of for 20 years, and then try to grab the name and goodwill for yourselves," Weiland's complaint says. "You don't, but three of the instrumentalists from the band Stone Temple Pilots tried." Skip Miller, an lawyer for the remaining band members, said the band had every right to fire Weiland. "He's dead wrong and he knows it," Miller said. "The band had no choice." 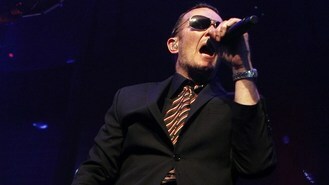 The group has performed with new frontman Chester Bennington, and Miller said it is moving on without Weiland. The band claims Weiland is not entitled to call himself a former member of the group and was using its songs without proper permission. They cited his being late to concerts and poor performances as some of the reasons for his ouster. The band's hits include Vasoline, Interstate Love Song and Plush, which won a Grammy in 1993 for best hard rock performance with vocal.